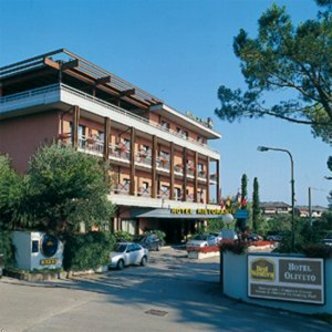 The Best Western Hotel Oliveto is located on the lakeside way, in front of Sirmione, in the greenery of centuries old olive groves. We are only 500 meters from Villa Romana, 9 kilometers from Castle of Sirmione, 25 kilometers from Arena di Verona and 35 kilometers from Mantova and Cremona. Our 76 air-conditioned rooms are completely refurbished with a balcony or terrace and lake view. We feature a restaurant with typical regional cuisine and four meeting rooms that can accommodate up to 250 guests.